Our smart home devices support seniors by letting family know if something goes wrong. Falling is one of the most common causes of hospitalisation among older Australians. Impacts are often severe if help doesn’t arrive quickly. While many older people have a personal alarm or pendant, the fact is that our loved ones don’t wear them at home regularly enough for us to be confident that they are safe. 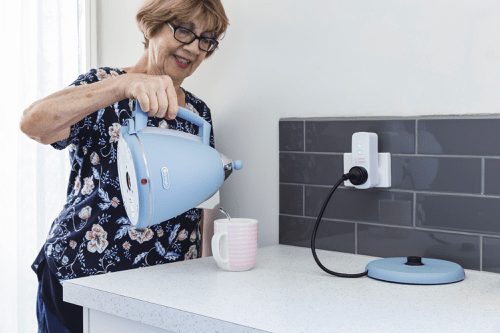 The Umps Health Smart Plugs fit between any appliance and the wall to measure interactions with the home, like when someone boils the kettle, opens the fridge, or turns on the TV. 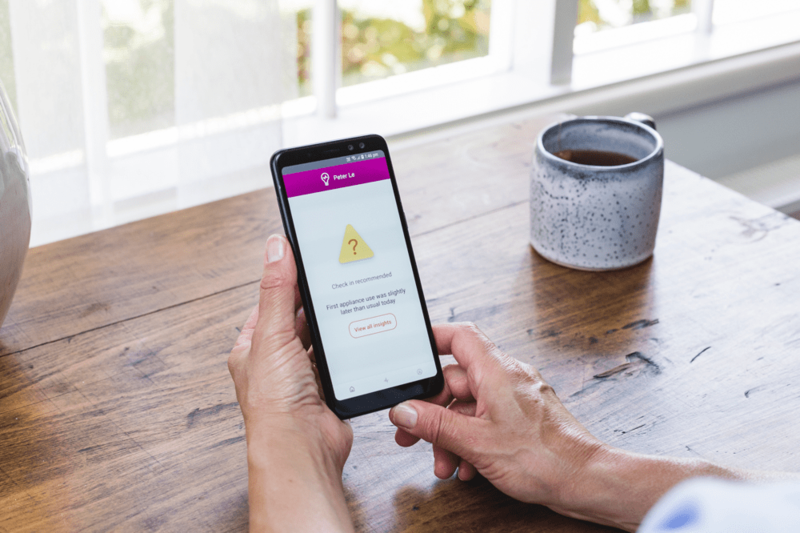 For the first 30 days, the Umps Health Smart Home is in Learning Mode. This gives it a chance to get to know your unique routines about the home. After the Umps Health system gets to know you, it will begin looking for changes that indicate and predict declines in health and wellbeing. If something does go wrong, we'll get in contact with a family or carer so they can send support. What’s different about Umps Health? You don’t need to wear a pendant or press a button for Umps Health to operate. The Smart Home works completely in the background. The system can be installed in 10 minutes by anyone. 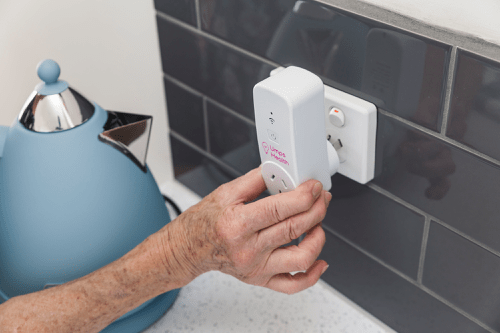 Simply plug the Umps Health Smart Plugs in, and register your Smart Home by following the prompts. We don’t use motion sensors or cameras, and we only contact your family when we think that something might have gone wrong. Want Umps Health to support your family? Want more information about how Umps Health works? © 2019 Umps Health. All Rights Reserved.